IT as an emerging and growing industry has tremendous potentials and opportunities. But not all of IT will do good. Get to know IT's workforce, workplace, and industry perspectives. Identify the hot spots of IT and get the most out of IT. IT is one of the greatest careers you can have. It offers excellent Job opportunities. Professional workers enjoy the best prospects, reflecting continuing demand for higher level skills needed to keep up with changes in technology. Giant consulting companies providing IT outsourcing, enterprise integration, and technology services. Database is a big deal in IT jobs. No matter what you do in IT, certain level database skills are required. This strategy is about managing career risk by choosing successful partners. Your career partners are IT vendors who provide technologies through their products. On their technologies you build your skills. With your skills you obtain jobs and you work in IT. In your work, you apply your skills to deliver products and services so that you build you experience day by day, that's insurance of your IT career success. The strategy is clear - put yourself on mainstream roles. If you don't have the opportunity to play a mainstream role in current job, it is time to hunt for new opportunities. In IT industry it is important for you to know who are the mainstream players and who will be marginalized. Certifications are too popular in IT, maybe even misused or abused. While IT certifications have be devalued, getting certified is still an effective strategy to advance our career, simply because almost everyone else is certified already. this article provides some insights about getting certified easily right on the target. Understand the balance and relations between tools, skills, and technologies. Get to power tools to support your long-term career success instead of hindering your advancement. As an individual IT pro, your career is built on skills. How much you worth and how much you make are dependent on the value of your skills in the industry. One of proven strategies for IT career success is to develop top level skills. If you want to start career in IT, become a programmer first. Programming is the most reliable and extendable skill every IT professional should have. You might not depend on this skill through your entire IT career. You may not even need starting your IT career with this skill. But if you are seriously considering secure your job, tap onto it. The sector of system and network is hot in IT. Simply speaking, IT cannot live without it. All of today's organizations, large or small, rely on computer systems and network to carry out their missions. Database is the core of enterprise business operation in every industry. No business can go without it. 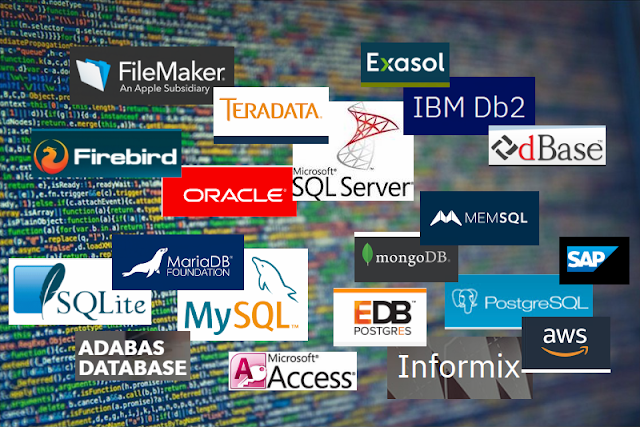 Almost every database in use today is Relational Database Management System (RDBMS). Database is the most solid base for your successful career. One of the biggest waves in IT industry is on the pre-packaged software application system implementations with large enterprises. As an IT professional, you should pay attention in this trend. The emerging and growth of software packages can provide great career potentials or affect your job in either direction. The evolving of web services is making a big impact on IT professionals and IT careers. For most of us - developers, programmers, architects, system administrators and others, it is a wonderful opportunity for career boosting. Following the guidelines here, and you will get your dream job in IT, - no experience, no college degree, no problem. The dynamics of IT could make layoff inevitable. Layoff happens and often has nothing to do with employee's job performance but is likely caused by uncontrollable external situations. In the professional life, layoff is one of the most frustrated career challenges we have to face. The pressure, frustration, and emotions could impact our career negatively for long time. But layoff in IT is not the end of the world but often a new start of carer advancement. Learn practical tactics that you can apply easily in you work; by using these tactics you can often skip layoff, or recover quickly if it does happen to you. IT industry workforce is very young. You've seen fresh college graduates play all sort of hot skills and compete with you. When you get older, you'll see more young kids around you in workplace, and they do put pressures on older people. In the fast-paced changing world. IT experiences are built by continuous learning, but not by time. So your time with the industry does not add much value if you stop learning. The truth is, age discrimination does exist in IT industry. Then, how to deal with it? how to underplay your age? how to fit in? US-based companies are sending more and more tech jobs to overseas. Hiring overseas technical talent to do the job is so called offshoring. In recent years, rush to offshore outsourcing has become a significantly growing trend in IT industry - significant enough to draw us to pay serious attentions. Find out how to protect job from offshore thread. Outsourcing is not a bad thing to IT workers. All about outsourcing is to shift some of IT functions from in-house to external IT service providers. Your strategy to deal with outsourcing is to make yourself fit in the trend. If your corporate job is outsourced, find out where the job goes and go after it. Most likely your IT job may be outsourced to consulting firm, then get a consulting job, - make more money and enjoy more flexibility.